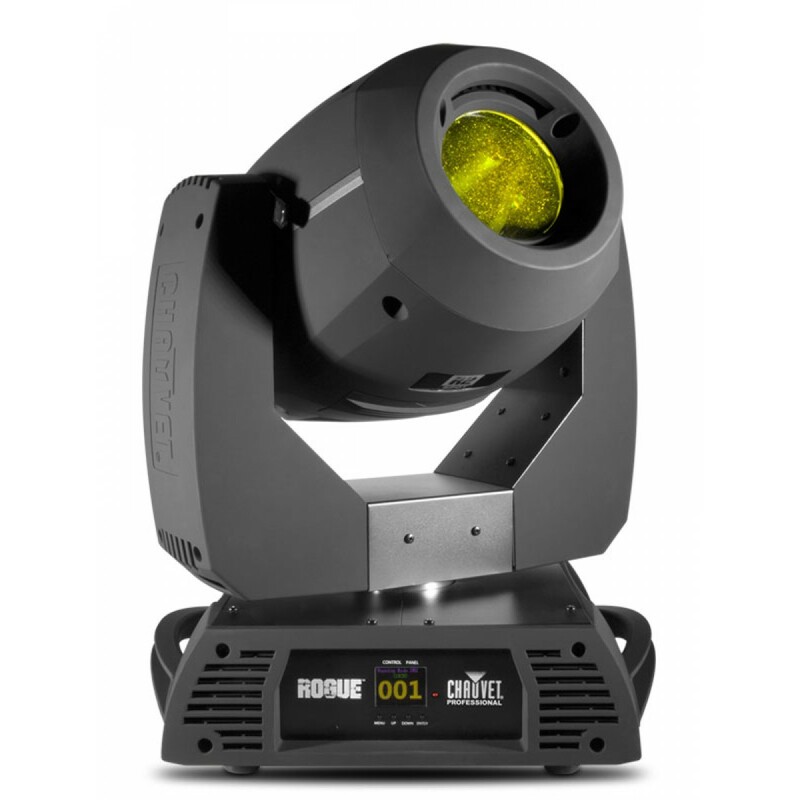 The Chauvet Rogue R2 Spot is a hard-edged or "profile" moving head fixture with a white-light LED source, 2 color wheels for enhanced color mixing capabilities, 2 gobo wheels, iris, 3 facet prism and frost. 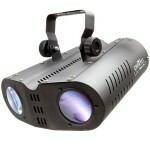 The Chauvet Professional Rogue Series is taking the industry by storm. Many rental houses are selling off inventories of former industry-standards like Martin and Elation in favor of these amazingly bright, feature-packed moving head fixtures. Please note: This is not an automated or sound-activated fixture, it requires DMX control. In most cases, moving head lights require professional rigging and operation by a competant technician. Please give us a call if you'd like to inquire about setup and operation of these fixtures, our team is ready to assist!